June 2018– Monkee’s, an upscale ladies’ boutique that features designer shoes, clothing, and accessories is scheduled to open a new store in High Point, NC, and become part of a downtown revitalization project known as High Point 2.0. 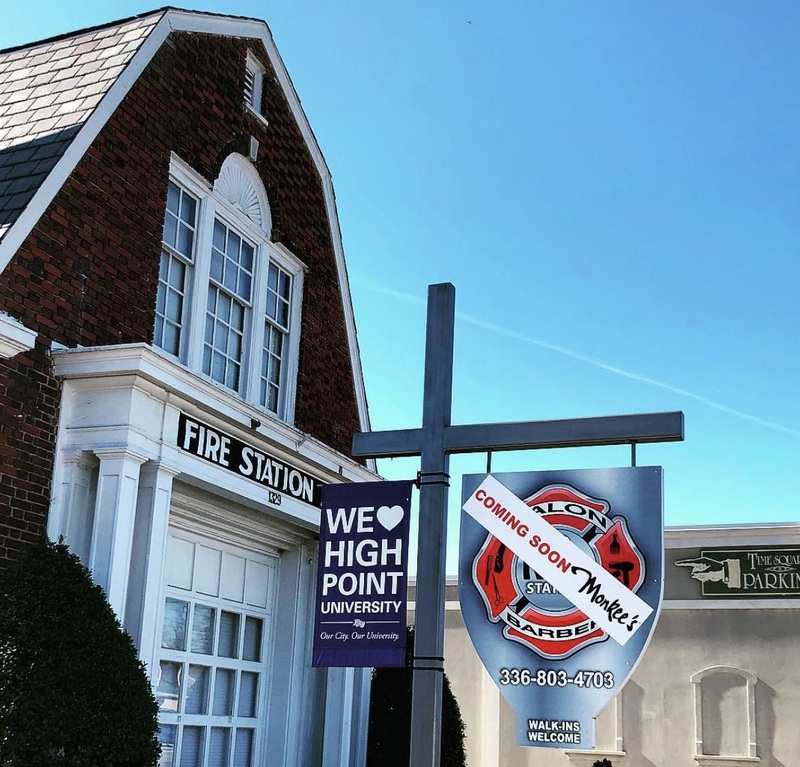 The newest Monkee’s location will embrace the past and become part of High Point’s exciting future when it opens its doors in the historic Fire Station No. 4 building at 1329 North Main Street. Store owner Katy Erikson says opening her own Monkee’s boutique in the charming 90-year-old two-story brick firehouse with its original brass firepole on display is serendipitous. “I’ve always loved design and fashion. I am a long-time shopper at Monkee’s and I have had my eye on that building for quite a while,” said Erikson. She will blend her managerial skills and sense of style in the opening of her first Monkee’s boutique, after a career in dental hygiene and medical office management. It was important to the NC native to invest in her own community, and the timing couldn’t be better. The downtown area – mostly known for its twice-yearly furniture markets — is undergoing a rebirth with a planned baseball stadium, children’s museum, park and events center in the works. The Triad’s latest Monkee’s store – and the 28thfranchise location – is in the premier Uptowne High Point district with other upscale shops and businesses. Erikson said being in the furniture capital of the world is a perfect fit for Monkee’s. Her August Grand Opening comes just in time to welcome back High Point University students who will appreciate Erikson’s infusion of style. “I will carry a couple of edgier lines in addition to some of the traditional Monkee’s lines . I think there is a demand for it, there are so many creative people in High Point and I think they will respond to something a little edgier,” said Erikson. After-hours fundraising parties for local charities are already being scheduled in the historic firehouse upfitted with Monkee’s signature feel of shopping in your girlfriend’s closet. Erikson also plans to participate in Leadership High Point to cement her place in the local business community. For a sneak peek of the new store and updates on the Grand Opening Celebration, please follow @monkeesofhighpoint on Facebook and Instagram.